For the complete experience of Bali combine a luxury 5* stay with a thrilling trip to Komodo Island. 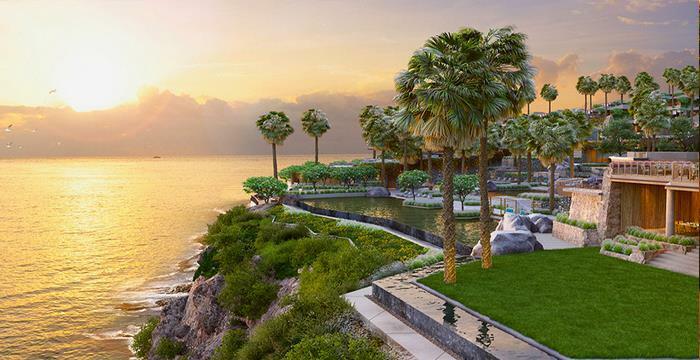 Begin at the Six Senses Uluwatu and completely unwind amidst beautiful beaches, inviting surfing spots and a holistic wellness scene. Then, head off to Komodo and Rinca Islands on the search for the legendary Komodo Dragon - the largest lizard in the world. Staying on a boat and a hotel, this is a great way to experience the natural side of Bali with plenty of time to relax, swim and snorkel by gorgeous beaches. After a short flight from the Bali arrive at Flores where you are met by one of our tour representatives and taken to the harbour where you board your boat to Komodo Island. Your first stop will be at Rinca Island, home to Komodo Dragons and a range of other wildlife. You will have a chance to spot the Dragons on a short trek through the jungle before lunch on board your boat as you continue to sail towards Komodo itself. After breakfast walk to Banunggulung to see the Komodo Dragons, which grow up to 3 metres in length, and weigh up to 65kg. It is estimated there are around 2,000 on the island, as well as other wildlife. Following your walk, proceed to Rinca Island the home where you trek through the jungle and see the Komodo hiding in the grassy undergrowth, waiting for its prey. Don’t be fooled – the Komodo may look cumbersome, but they can run at up to 18kmh and swim and, when short of food, these grizzly animals eat their young! Filled with deadly toxic saliva and venom, they are not the kind of animal to make friends with, yet are fascinating to watch. Sit back and enjoy the beautiful scenery and have lunch on board before arriving at Pink Beach, named because of its red coral which breaks off with the tide changes and mixes with the sand, causing it to turn colour. Jump overboard and snorkel in the clear waters, where you can see parrot fish, clown fish, and many other species including turtles. There is plenty of time to swim here and relax on the beach before spending the night on the boat. After breakfast, take a short tour to Batu Cermin Cave. Batu Cermin is the Indonesian name for Mirror Rock and depending on the time of year the sun shines into a canyon between and is reflected on the walls of the cave. This creates a stunning visual effect, so if you are there at the right time, you are in for a real treat. Then, depending on the flight schedule, transfer directly to the airport for your onward flight having got up close to one of the most amazing creatures on Earth. This short island hopping tour of Lombok and Gili makes a great add on to any holiday in Bali or one of the other Indonisian islands. Lombok is located to the east of Bali and is one of the country's most popular tourist destinations as it boasts untouched, pristine beaches, the huge volcano of Mount Rinjani, and a spectacular variety of different landscapes and scenery. On this trip, which includes a stay on the Gili islands, you can see all the sights and relax and unwind on beautiful beaches. Just off the northwest corner of Lombok, the Gili Islands are three idyllic atolls where the sand is powdery white, the water a sparkling turquoise, and the sunset over Bali's volcano in the west are simply spectacular. This paradise Indonisian destination, famous for its turtle hatchery and home to the largest Irish bar on the smallest island in the world, makes an ideal getaway for people of all ages and combined with a stay at Lombok is a truly memorable holiday.